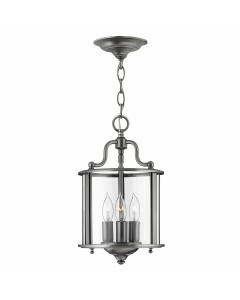 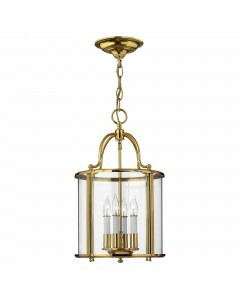 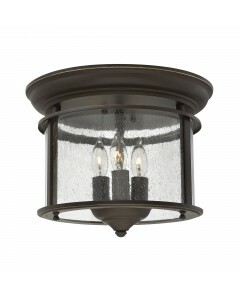 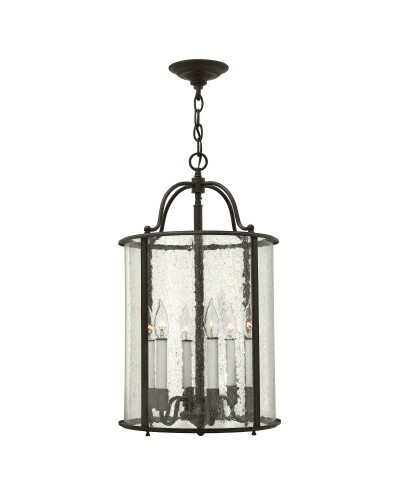 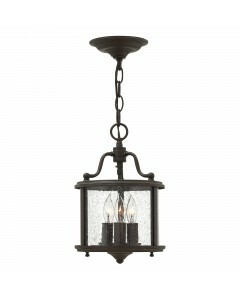 This Gentry 6 light large pendant is a classic lantern design and is handmade in an Olde Bronze finish. 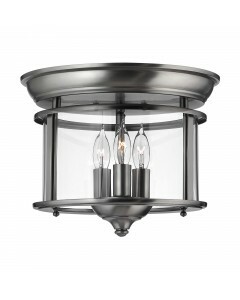 The clear seedy effect bent glass panels, white candle sleeves and coordinating candle chasers add classic elegance to this timeless style. 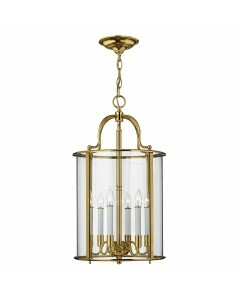 This pendant lantern is suitable for traditional environments and is ideal for hallways, stairwells or kitchen and dining rooms. 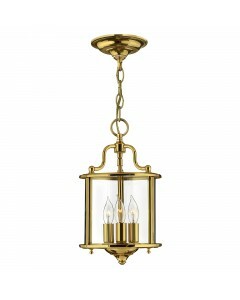 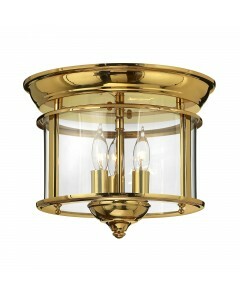 This 6 light large pendant has a height of 635mm and a width of 356mm. 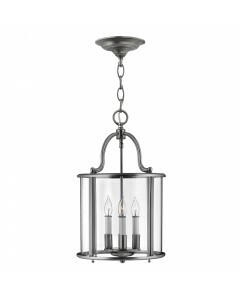 It also comes supplied with 3048mm of chain, which can be shortened if required on installation to suit many ceiling heights.